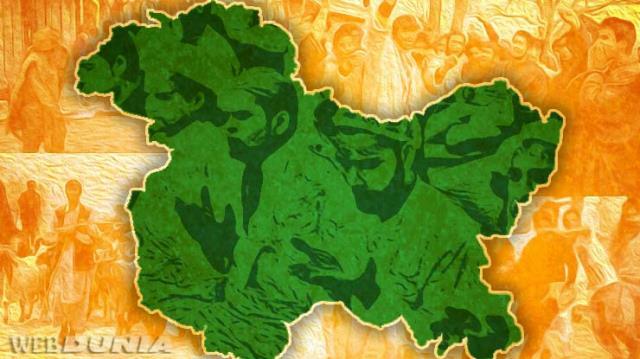 Srinagar: The Bharatiya Janata Party (BJP) on Wednesday alleged that Peoples Democratic Party (BJP) and National Conference (NC) are using Article 35 A to "blackmail" the Centre as they fear threat to the concept of dynasty rule in Jammu and Kashmir. Reacting to the statement of former finance minister and senior PDP leader Altaf Bukhari that BJP national general secretary Ram Madhav is well aware of his own party leadership which "displayed an utter disregard" to elected representatives and dishonored democratic institution like Legislative Assembly in Jammu and Kashmir," BJP's state spokesperson Khalid Jehangir in a statement said, "PDP and NC should introspect rather than indulging in a rhetoric." Mr Jehangir said that both these parties had together polled less than 10 per cent votes in the Lok Sabha elections, which were held for Srinagar seat on 2017. "It means their combined clout to politically enthuse people to vote is less than 10 per cent. Rather than introspecting and doing some soul searching it is unfortunate that the two are getting together to confuse people by creating a correlation between elections and issues where no correlation exists," he said. "The BJP spokesman said that two bitter dynasties coming together is a clear hint that there seems a common threat to the concept of dynastic rule rather than the issue of 35A that they are supposedly worried about. "Article 35 A is a fig leaf which they are using to blackmail the Centre," Jehangir added. Taking a dig at Altaf Bukhari, the BJP spokesman said, "He should know it very well that he is himself a product of boycott. Had 80 per cent people participated in the 2014 assembly elections he had no chance of winning the elections from Amirakadal Assembly constituency." Jehangir said that PDP and NC are openly trying to "whip up sentiments and carve out the psychological mindset for a boycott" in the forthcoming coming elections to Parliament. "They have always won the elections when people have stayed indoors on the voting by day. Their desperation stands exposed," he added.